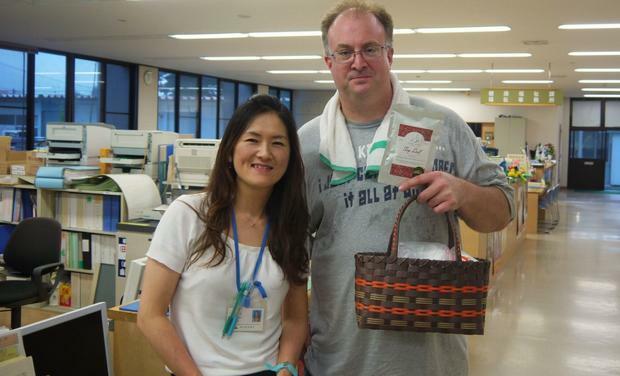 Our tea buyer, while in Aso, visited city hall to give them a good story for their newsletter — about a local tea artisan's tea winning first place in its division in the North American Tea Championship. A lot of the folks there were surprised to say the least — to think that tea from their li'l ol' town could hold its own (and then some) against the big boys! It just goes to show that the size of a town has nothing to do with the quality of its tea. Or maybe it's even inversely correlated. The "local boy makes good" story appears [PDF] in the September issue of official city newsletter, Koho Aso. 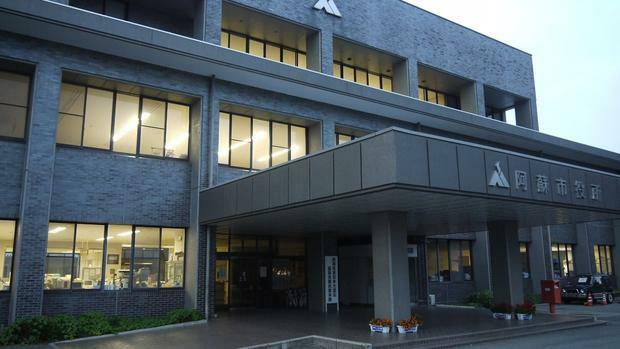 At Aso City Hall to tell their PR people (person) about Mellow Monk's latest recognition.